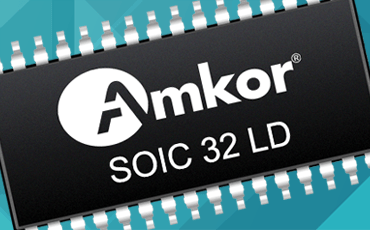 Small Outline Integrated Circuit (SOIC) is a leadframe based, plastic encapsulated package, that occupies less area and has a reduced thickness compared to a dual in-line package. This high-volume industry standard package is ideal for end-products such as portable audio, video, and communications that require optimal performance with reduced size and weight. New developments include stealth dicing (narrow saw streets), larger/higher density leadframe strips and leadframe roughening for improved Moisture Sensitivity Level (MSL) capability.